On November 19, 2015, Jonathan Pollard was released from prison after serving 30 years of a life sentence for his activities on behalf of Israel. The median sentence for the offense Pollard committed - one count of passing classified information to an ally - is 2 to 4 years. Pollard received his life sentence without a trial, as a result of a plea bargain which he honored and the U.S. government violated. the unlimited monitoring and inspection of his personal computers and those of any employer who chooses to hire him, effectively excluding him from gainful employment. He is under constant threat of rearrest and reimprisonment for the slightest perceived violation of these conditions (any time the US wants screaming headlines to put Israel and the American Jewish Community on the defensive) which his attorneys are currently challenging in court. For more information, see the Pollard Case Information page and Israel Celebrates 60 Years. Video: Top US Officials: Free Pollard Now! Pollard Longest-Held Living Captive Marks 8,000 Days: includes background info and essay:"Why Israel is ignoring Jonathan Pollard to death". Video & Transcript: Rabbi Mordechai Eliyahu zt"l:Free Jonathan Pollard! Poster: Yes, you can! 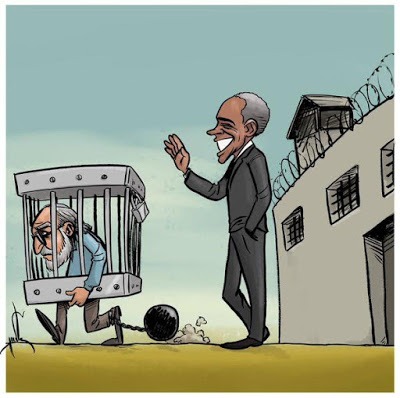 President Obama, Free Pollard! Top US Officials: Free Pollard Now! Should Jonathan Pollard be released? Jonathan Pollard - Enough is Enough!